It was a windy day when I met Ally for her senior photos, but the wind made for some beautiful movement in her photos. 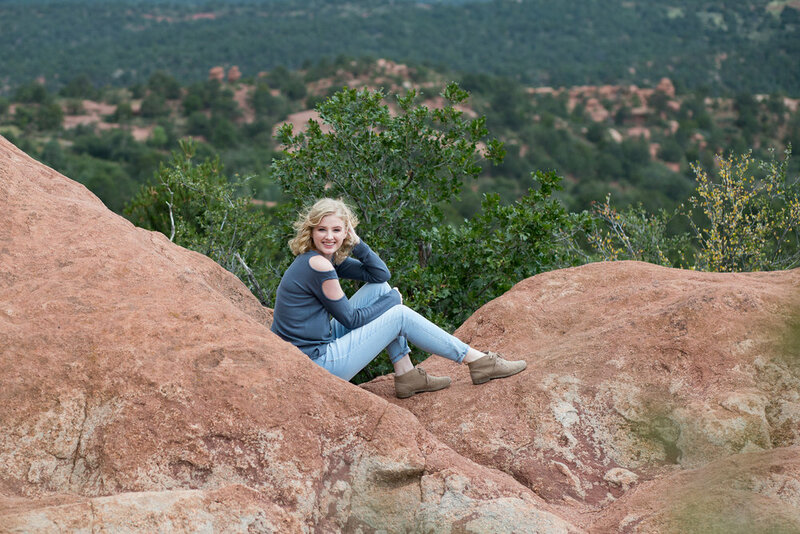 When we met at Garden of the Gods park, I already knew that it was going to be a fun session. The instant I met Ally, she was kind, funny, and spunky. Her favorite color is yellow, and those were exactly the color flowers we found during our session. Yellow to compliment her heart full of cheer. Ally is a part of DECA and drama club. 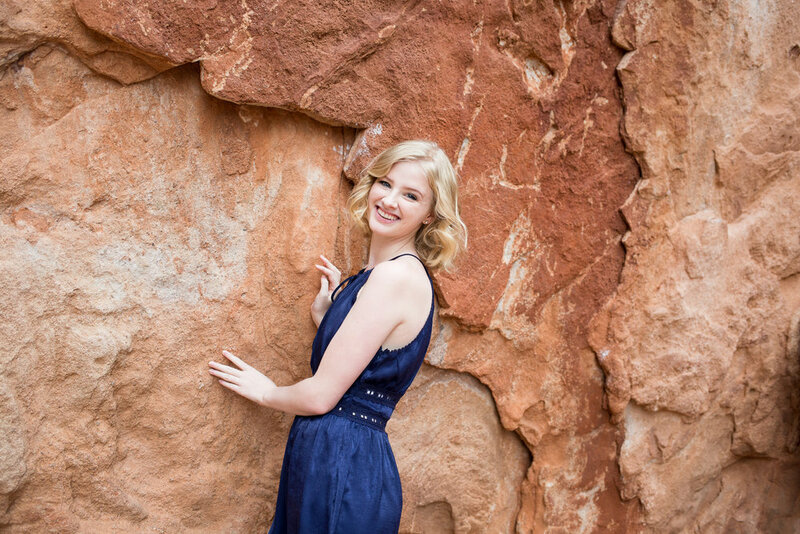 One of her favorite memories is junior prom and having such a great time on the dance floor inviting lots of students to join their group, sharing the fun with her friends. Without a doubt, I could see Ally working with people in her future because of her giving spirit and helpful heart. When asked what advice she would give others, her response is to be genuine. I love that Ally's wisdom is such that we could all use an example of caring and knowing how to confidently be yourself. "...if you open yourself up and show your true colors you will find more life-minded people and closer friends..."
I always find it interesting to ask those to leave behind their thoughts for those who will go through a similar experience. For example, asking my seniors in their questionnaire what advice they would give the in-coming freshmen at their high school. Ally's response to this question goes to show how in tune she is with herself and how she leads an authentic life: "I would tell incoming freshman not to worry about hiding who they are to try and "better fit in" because if you open yourself up and show your true colors you will find more like-minded people and closer friends in the long run and everyone likes to have a friend that's in touch with who they are and their beliefs. It was a pleasure to meet Ally and to get to know her. I am excited for her and her future, as I believe that there are many new adventures that will be coming her way as she embarks on a new chapter of her life after high school. Wishing her all the best and all the joy in the world.